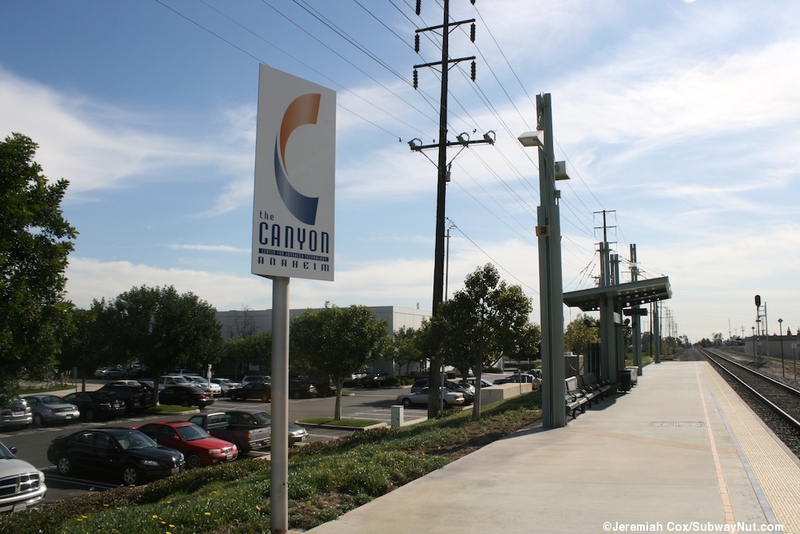 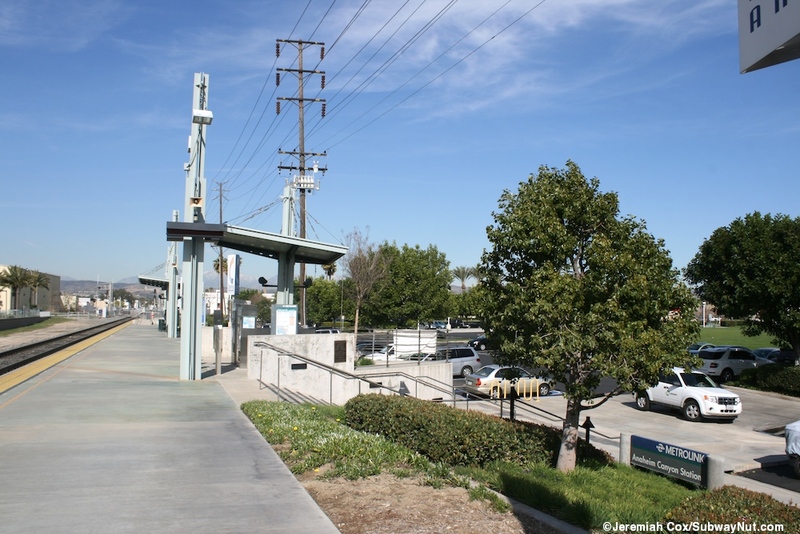 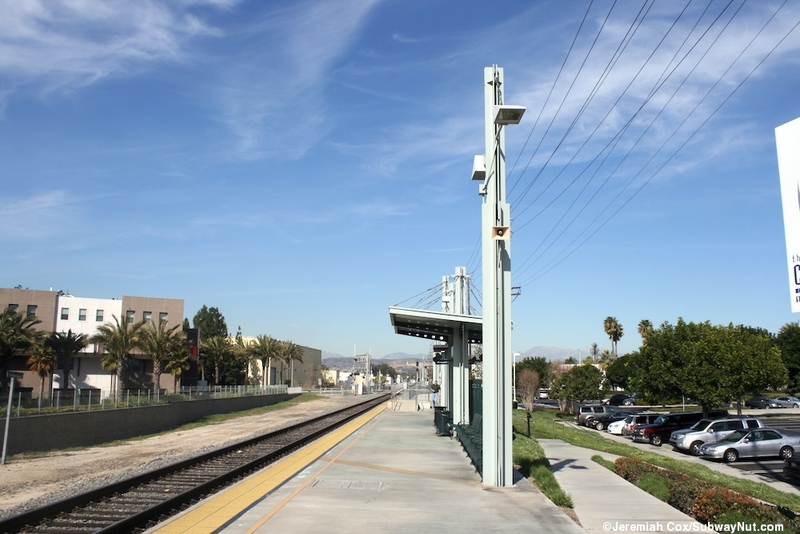 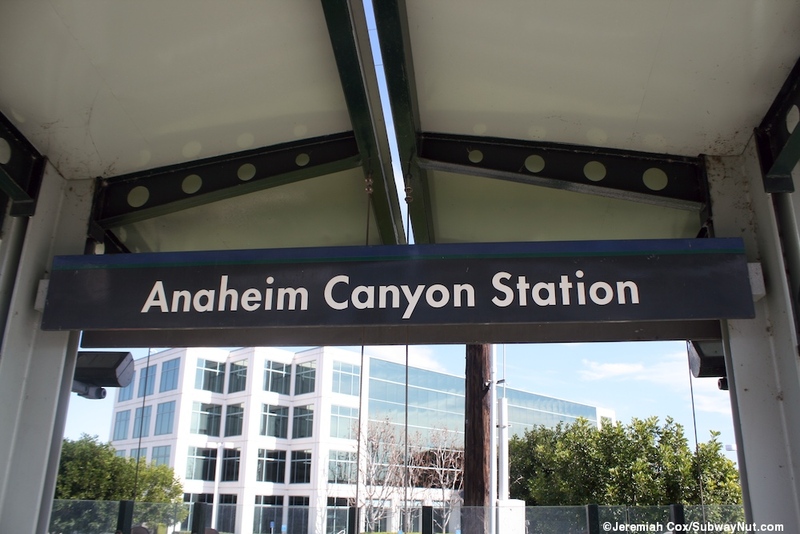 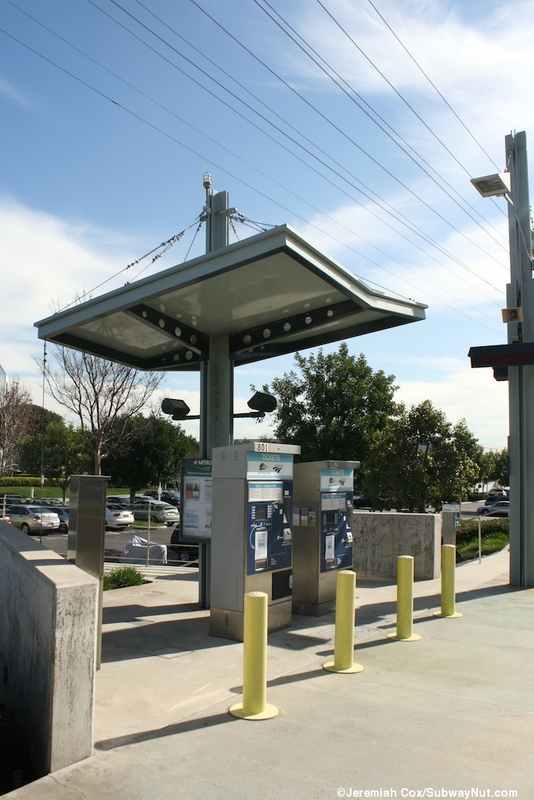 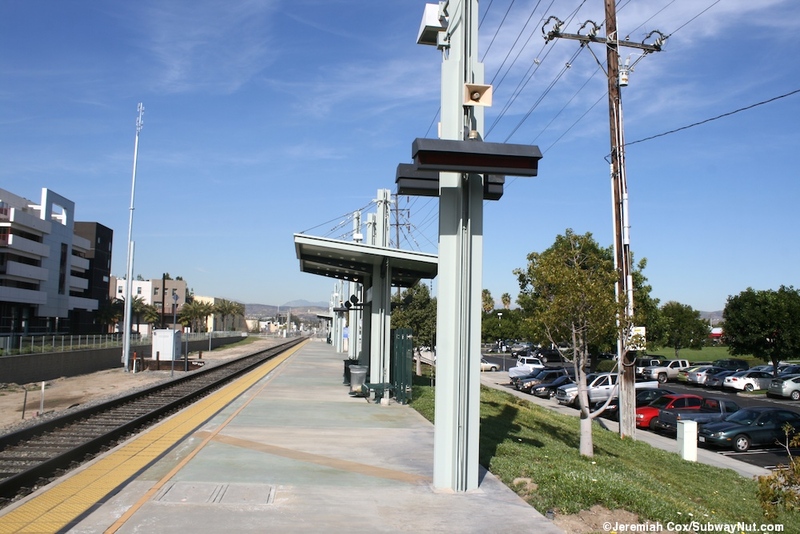 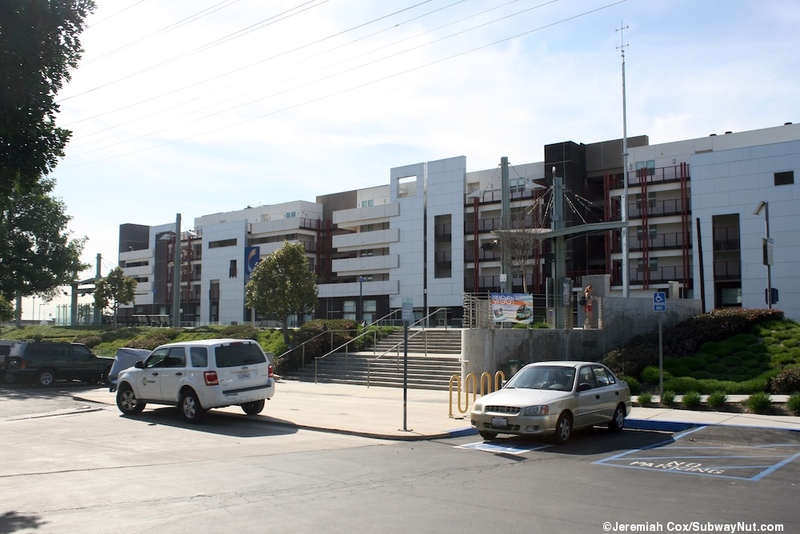 Anaheim Canyon is the one station only served by just Inland Empire/Orange County Line Trains meaning it is the only Metrolink Station which never has train service into Los Angeles-Union Station. 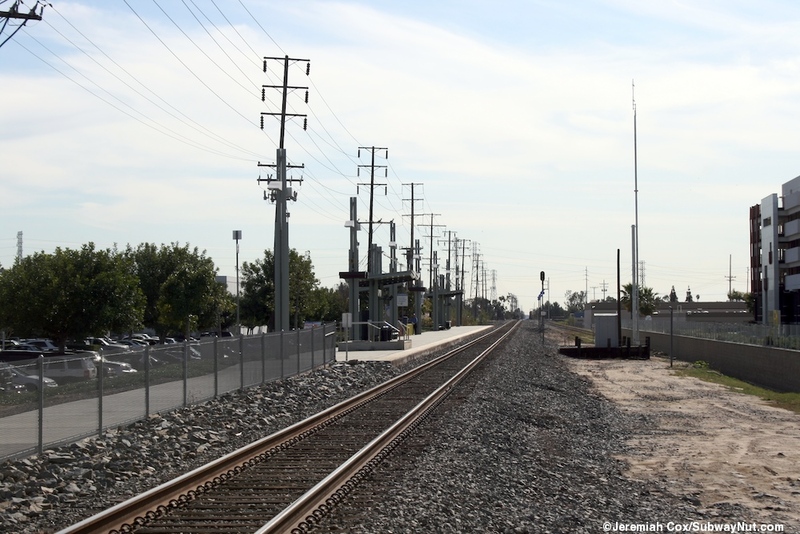 Trains run towards Riverside and San Bernardino (inbound) twice during the AM, once at midday and four times during the PM rush hour. 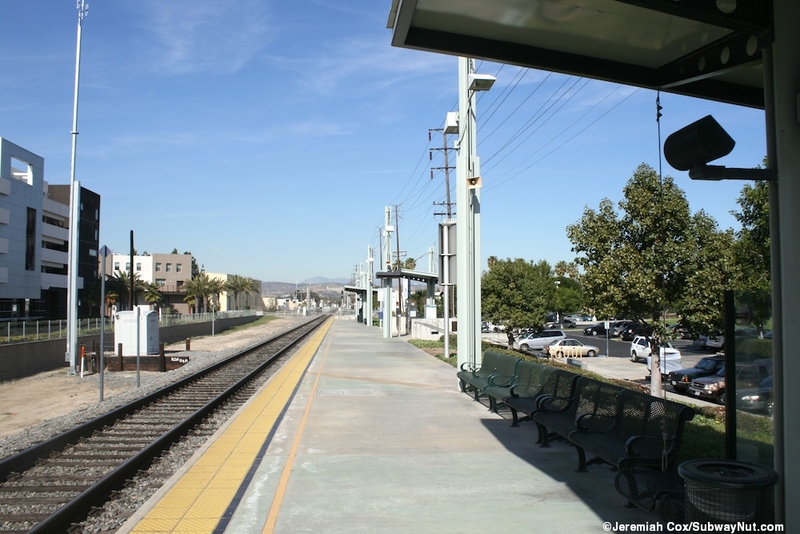 Roughly the reverse service is provided terminating (each have two trains each) at Irvine, Laguna Niguel/Mission Viejo or Oceanside (outbound). 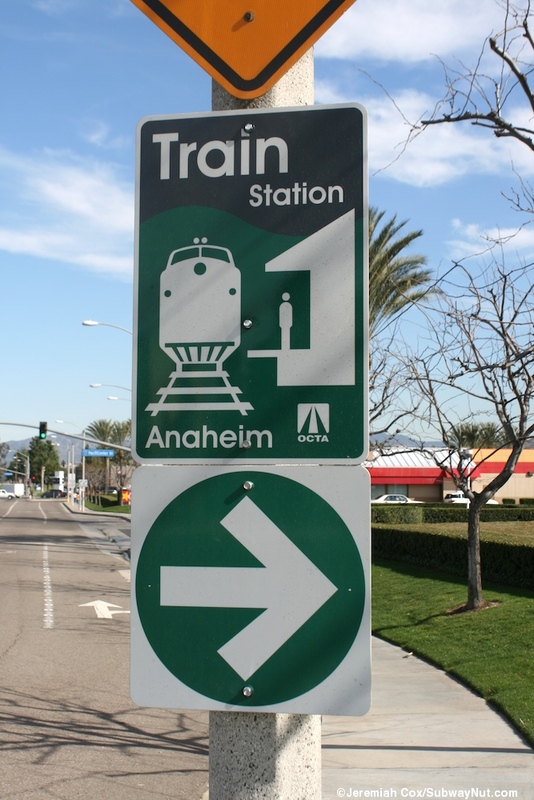 There is one weekend round-trip. 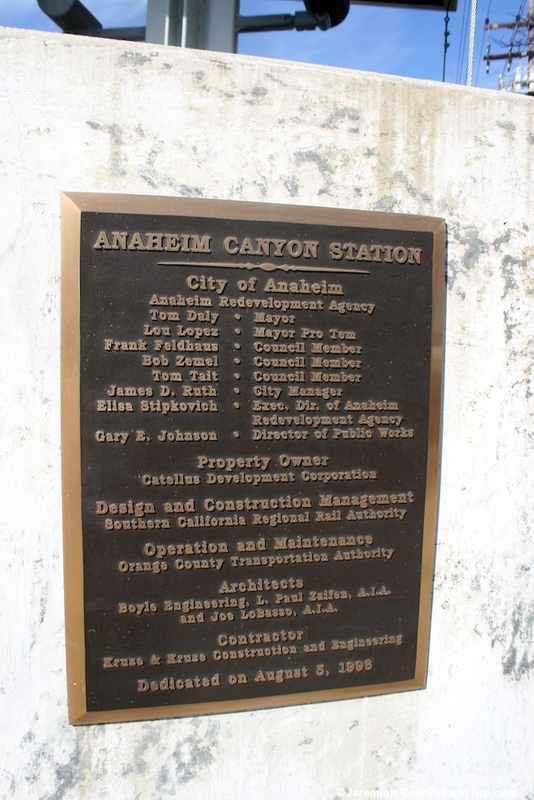 The station opened and a plaque says dedicated on August 5, 1996. 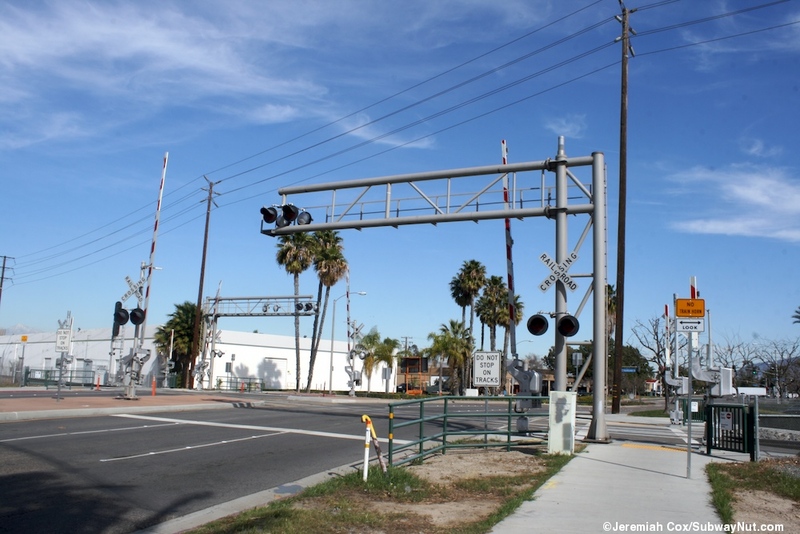 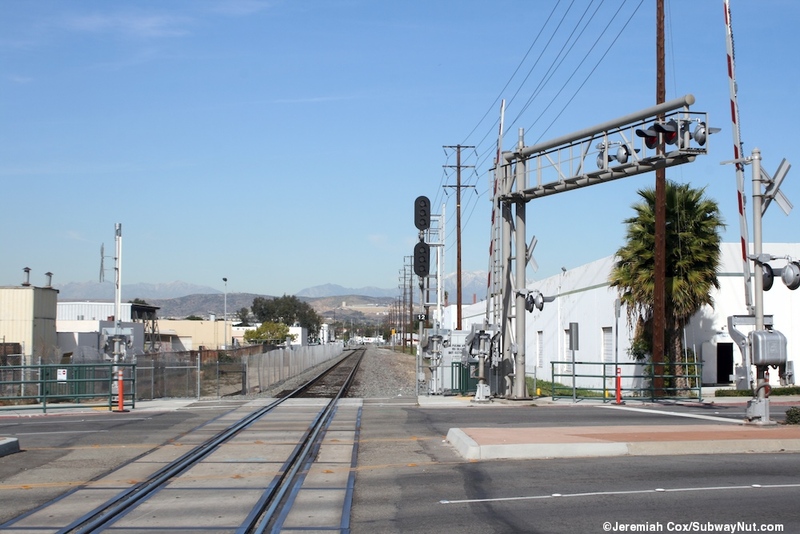 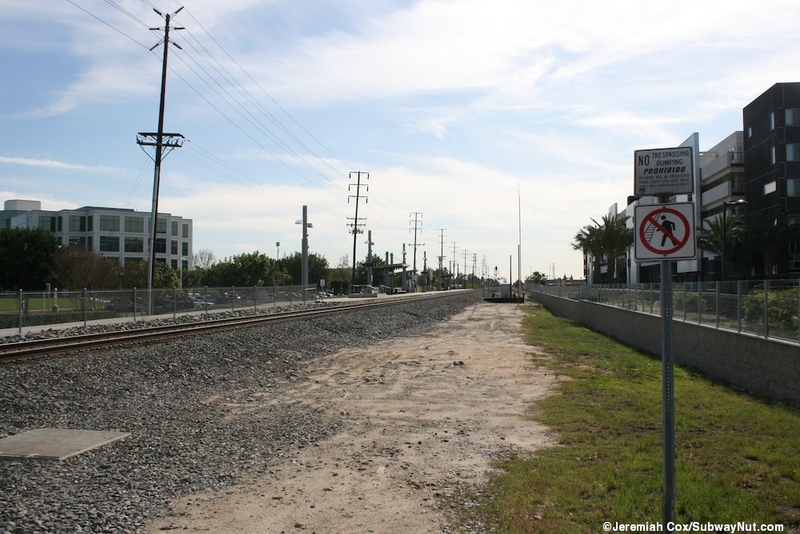 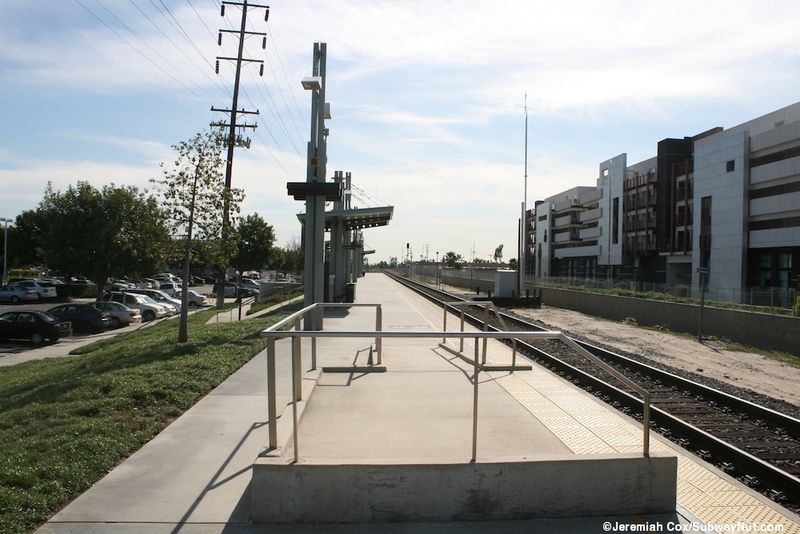 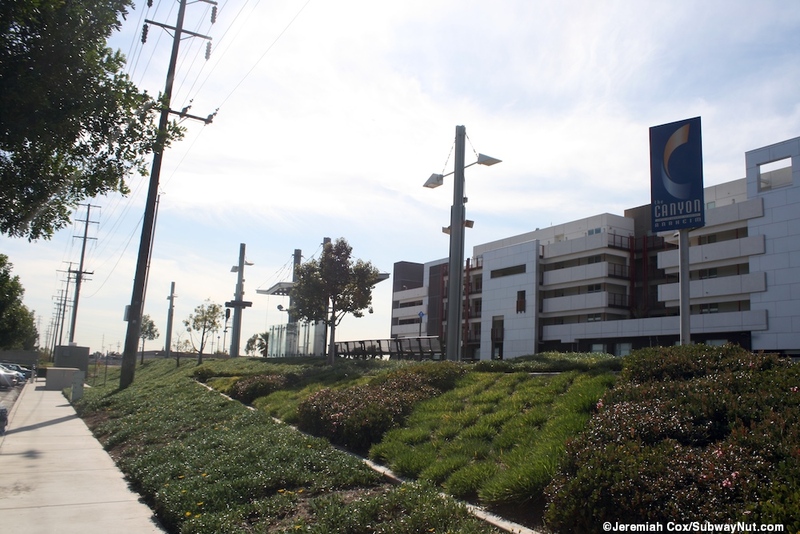 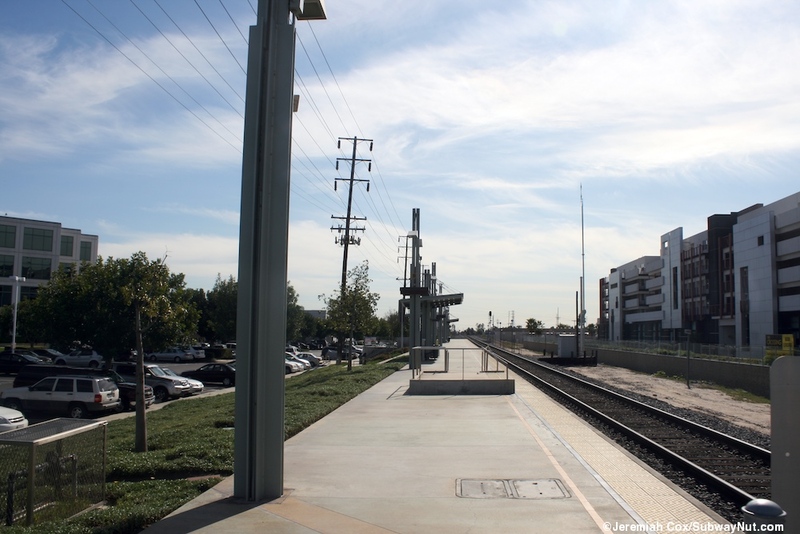 It has a single side platform for a single track just south of the grade crossing with La Palma Avenue. 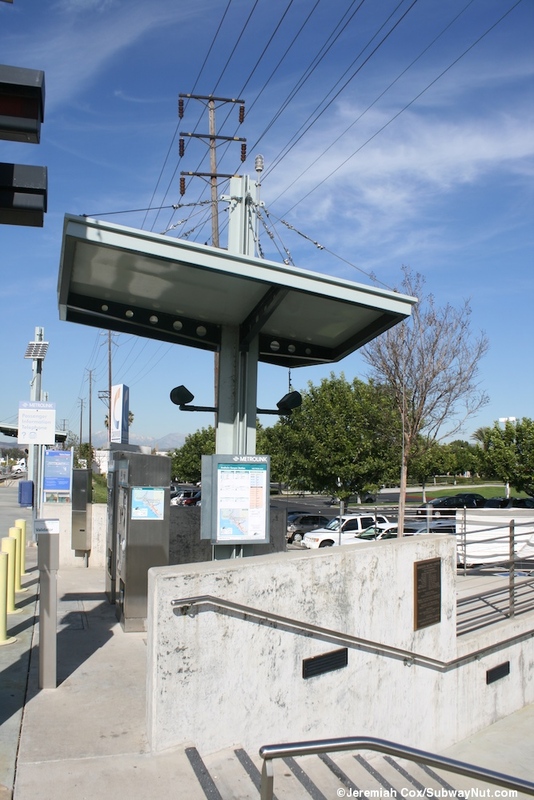 A walkway leads down from this grade crossing to the platform with two small green modern canopy structures covering benches with glass windscreens behind them. 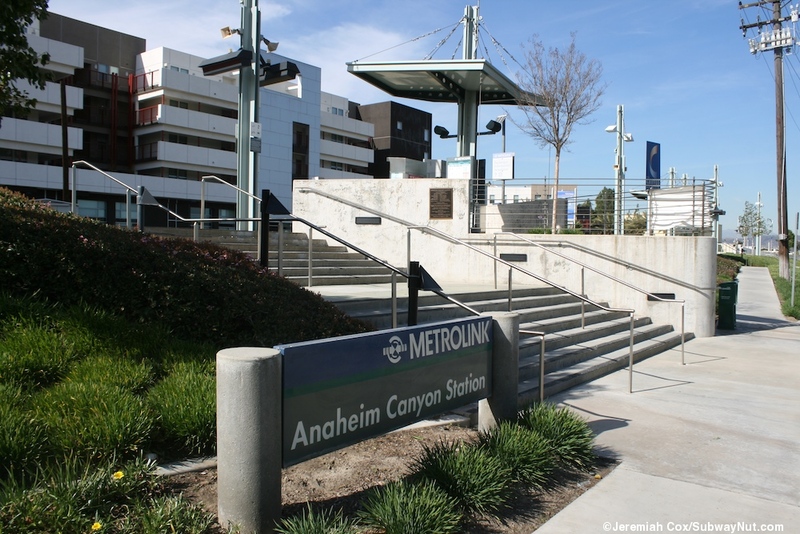 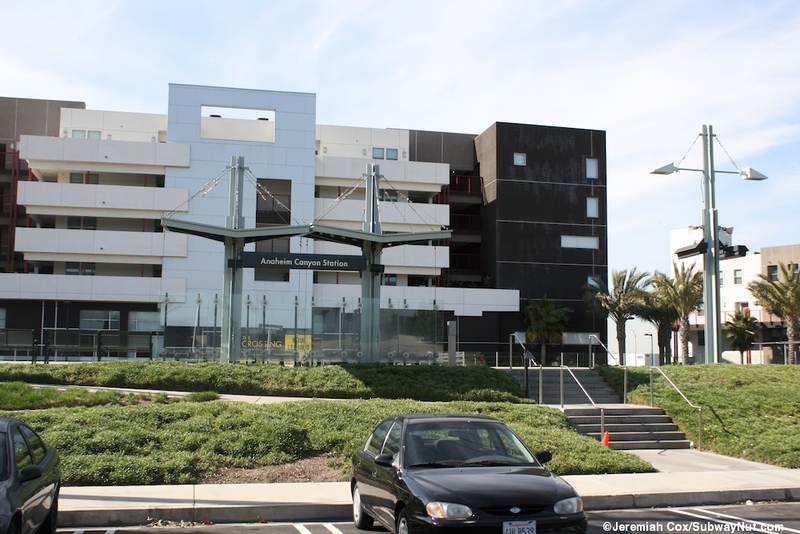 Another covers the station's one TVM at the main staircase and ramp entrance in the middle of the platform (there is one additional staircase) which lead down to 144 transit parking spaces and mainly serves some office parks and new transit oriented development apartments in the area.